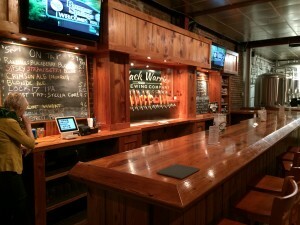 Black Warrior Brewing Company is a Tuscaloosa community staple of craft brewing in Alabama. The warm and soothing ambience combined with a rugged yet simple restaurant character compliment the potent while still smooth flavor of their house crafted brews. Roughly five years ago in 2008, current owners and partners decided to hone their home brewing master craft and fashion a brewery in the heart of downtown Tuscaloosa. The passion these friends exuded has translated into their homey brewpub they share with their peers and other members of the Tuscaloosa community. Upon asking one of the owners of their corporate environmental impact, he explained to me the brewery recycle a portion of the water used during the brewing process and that it recycle chemicals used in sterilization too. Furthermore, the majority of the wood used in the layout of the brewpub’s bar, tables, and overall décor was reclaimed and recycled. Also the brick used in the structure was reclaimed from tornado damage from around the town, giving the bar a truly communal aura. Located in a building constructed in 1953, the owners were moved to use gas and steam versus a direct fire heating system when operating the stills during the fermenting process. Having a gas/steam heating system allows for easier temperature control during fermenting, thereby allowing the brewing process to run more efficiently with less waste of water, grains, and time in between. While this method is more expensive upfront, but it is cost effective in the long run with proven longevity along with a less hazardous environmental impact compared to using coal or firewood as a heating source. Additional grain left over during the brewing procedure is reused by a farmer in Sylacauga who gives it to his livestock for sustenance. Two local businesses, Left Hand Soap Company and Hammered Horses and Hounds, also use the recycled grain for their respective products and sell their merchandise at the brewery’s bar. 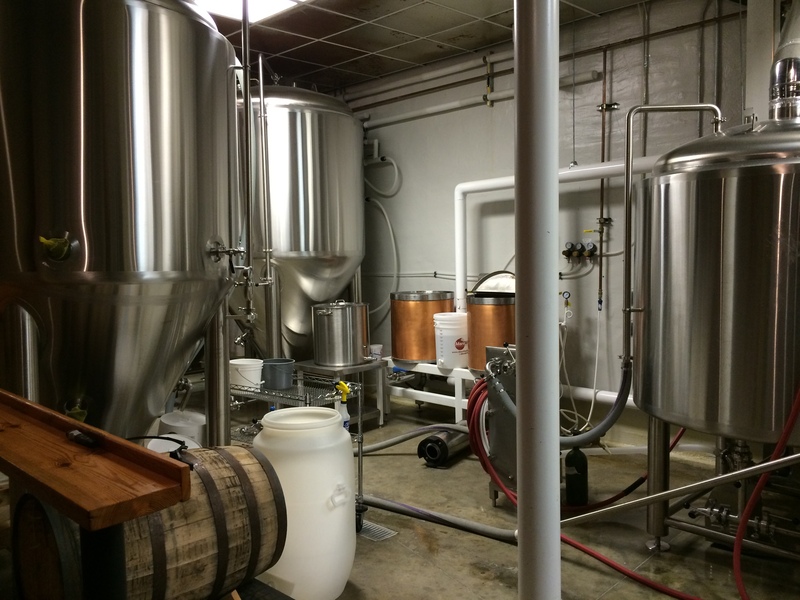 Future plans for Black Warrior Brewery include in-house expansion of stills, keg stocks, potential food menu options, and spreading the Black Warrior Brewing Company brand into Huntsville, Birmingham, and Montgomery. Black Warrior Brewing Company has already allowed many local Tuscaloosa businesses, such as grocery stores and bars, sell their products as well. In regards to another local Tuscaloosa brewery, Druid City Brewing Company and Black Warrior Brewing Company share a brotherly love and camaraderie beyond friendly competition with a unique diversity and individuality. The two companies owners used to home-brew together and now support one another for the benefit of business and the community. Each company holds respective events at their store each month, ranging from awareness benefits or just simple community gatherings. 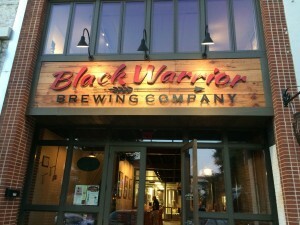 Black Warrior Brewing Company is an up-and-coming, fundamental piece of the community that thrives in Tuscaloosa. 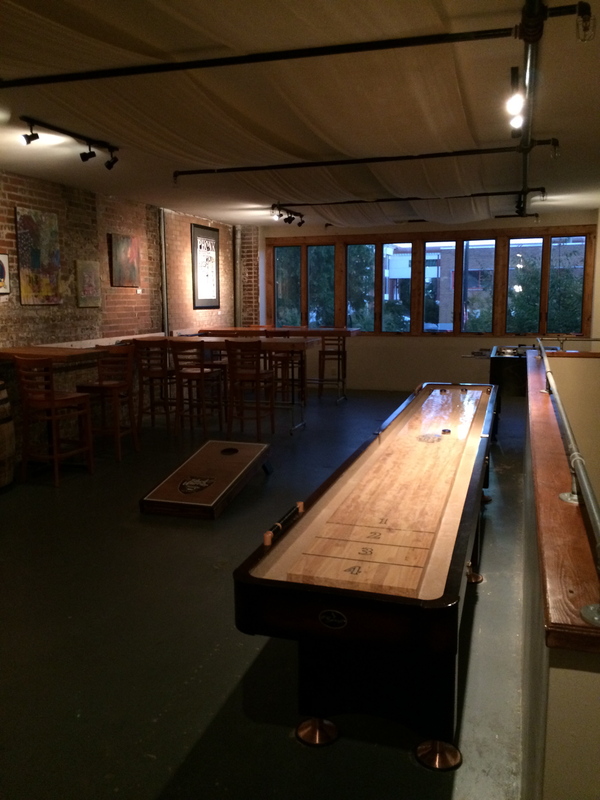 It is a place that you can go to enjoy a beer with your friends, the brewers, and bartenders while not having to get caught up in the typical “smoke and noise” crowd of other local bars. 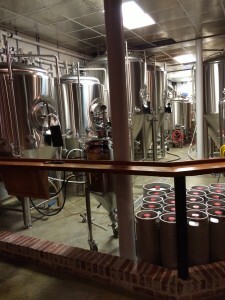 Any other interest you may have in Black Warrior Brewing Company you can further explore on their website at http://www.blackwarriorbrewingcompany.com.